After a sensational end to the work week, temperatures will shoot up quickly under a mostly sunny sky on Saturday. Compared to the previous couple of days, it will be much more humid in the afternoon hours. 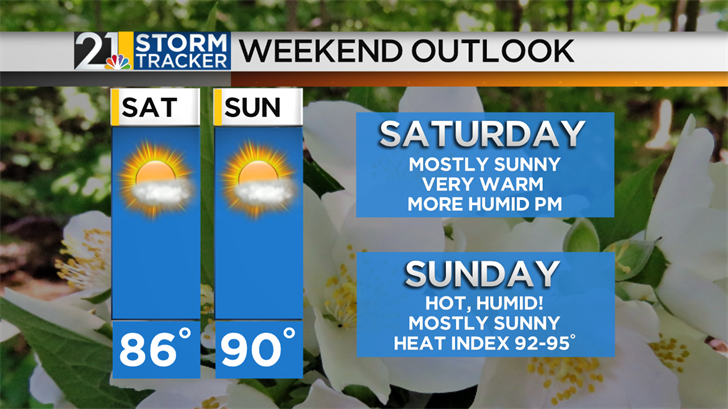 Saturday will be very warm but Sunday looks downright hot. 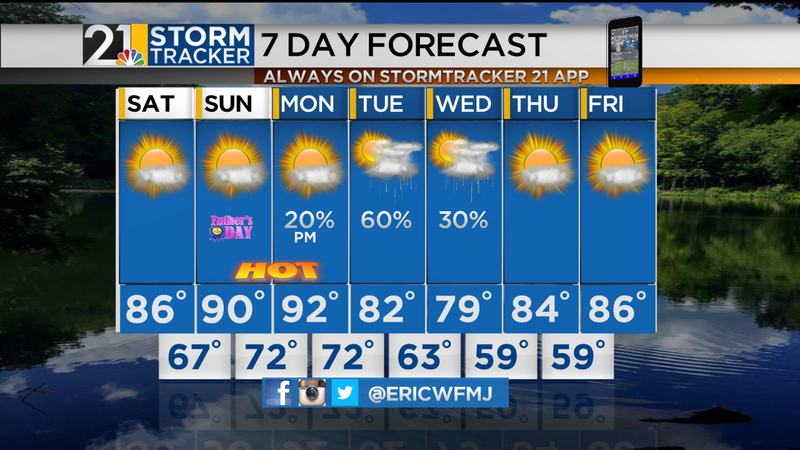 Father's Day will bring a good deal of sunshine once again and heat index values are likely to reach the mid 90s. A great weekend to hit the pool! Monday may be even more stifling. Thankfully a cold front is on track to slowly push across the region during the middle of the week; the result will be more seasonable weather Tuesday and Wednesday. There may also be some showers and thunderstorms.